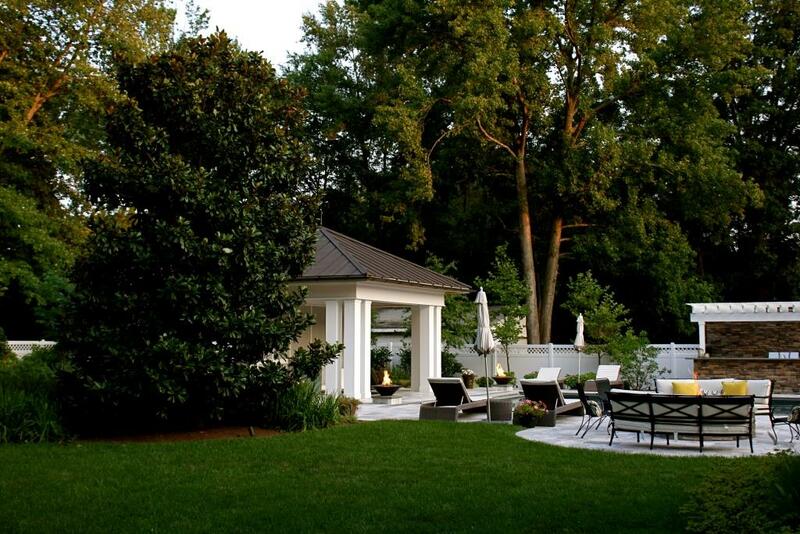 Two awards were won this year for our work at this private residence in Alexandria, Virginia. 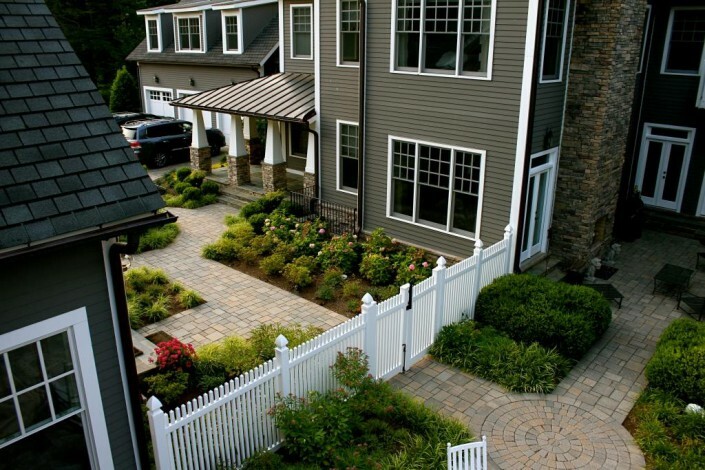 The Award of Distinction for Residential Design-Build reflects the skill of landscape designer Molly Scott working in tandem with our Landscape Installation team during 2012-2013. 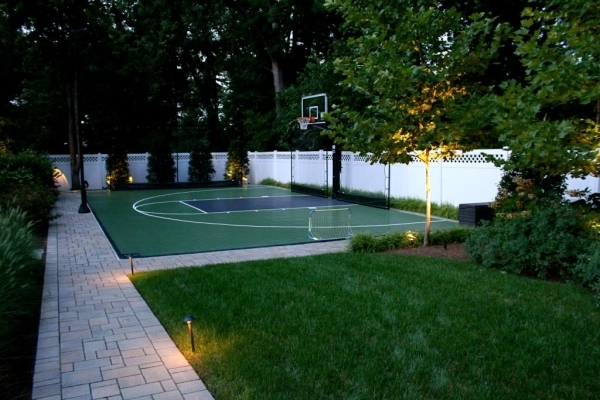 Prior to 2012, this property owner had two new homes built on the property along with the installation of a sport court, swimming pool & spa, pool house, fire pit and surrounding patios with pathways between the houses. 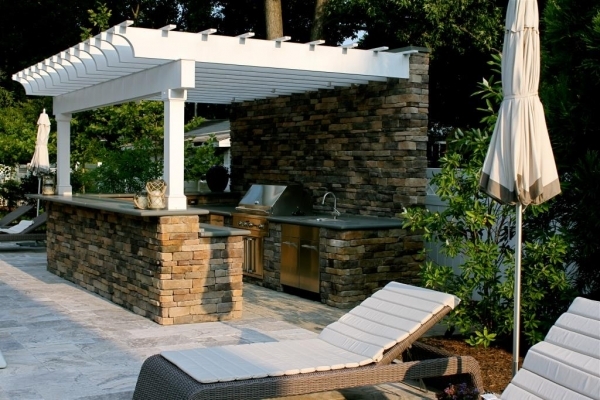 Our design and installation of the plantings, driveway, outdoor kitchen, irrigation and lighting throughout the property was needed to complete the front grounds and rear outdoor living spaces. Quite a few trees were removed with the home construction and county regulations stipulate replacement with native plantings. 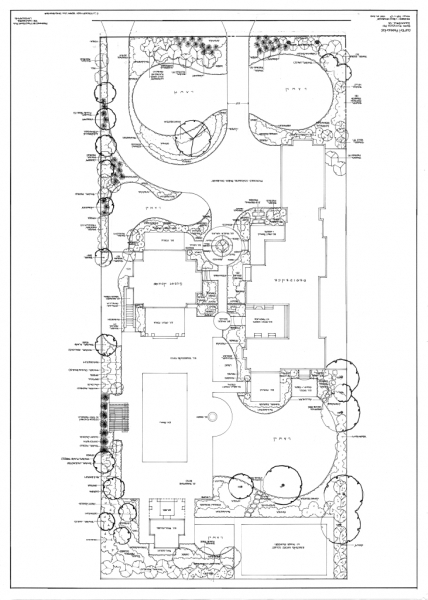 These were integrated into the planting plan to fit with the more formal masses of the home. The rear of the property has several entertainment spaces so utilizing screening plants and open expanses of lawn were taken into consideration when unifying all the different areas of the property. Maintenance of this property began in 2012 just after completion of the new landscape and received the 2014 Grand Award for Residential Maintenance. The front of the property serves as a welcoming view to admire upon entry or from the many windows within the houses. The garden pathway beds between the houses provide a relaxed, yet organized transition space to the rear entertainment area of the property. 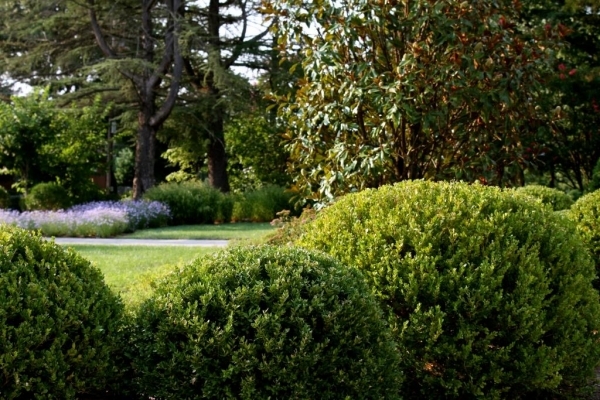 The overall effect of our detailed weekly maintenance is seen in the healthy plants with proper pruning, as well as the cleanliness of the outdoor spaces utilized year-round during the day and evening hours.